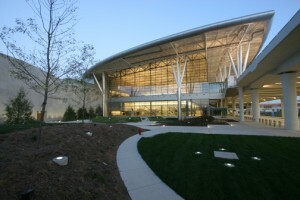 The Indianapolis International Airport is just 1.5 hours southeast of Lafayette-West Lafayette and is served by most national airlines as well as by a few regional carriers. Driving directions (including instructions on accessing the new terminals) are available on their website. If you’d prefer to not drive yourself to the airport, there are limo services that shuttle travelers between various Greater Lafayette locations and the airport. Lafayette Limo provides transportation from Purdue/Lafayette to Indianapolis International Airport and back, daily. If you’re traveling to Greater Lafayette or Purdue via Chicago’s O’Hare International Airport (ORD), Express Air Coach provides shuttle service between Purdue (stops at Purdue West and the Ford Dining Hall) and ORD. There is also a shuttle that stops at Oakbrook Center Mall for those that need a ride to the Chicago area, but not all the way to the airport. 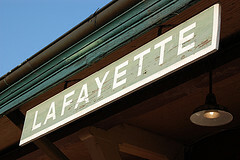 This unstaffed station located in the heart of Downtown Lafayette features free short and long-term parking, vending machines, an enclosed waiting area and restrooms. 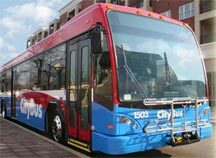 Transportation to and from the depot is available from CityBus, local taxi companies and a number of transit services. For more information, reservations, or help planning your route, please visit the official Amtrak Site.